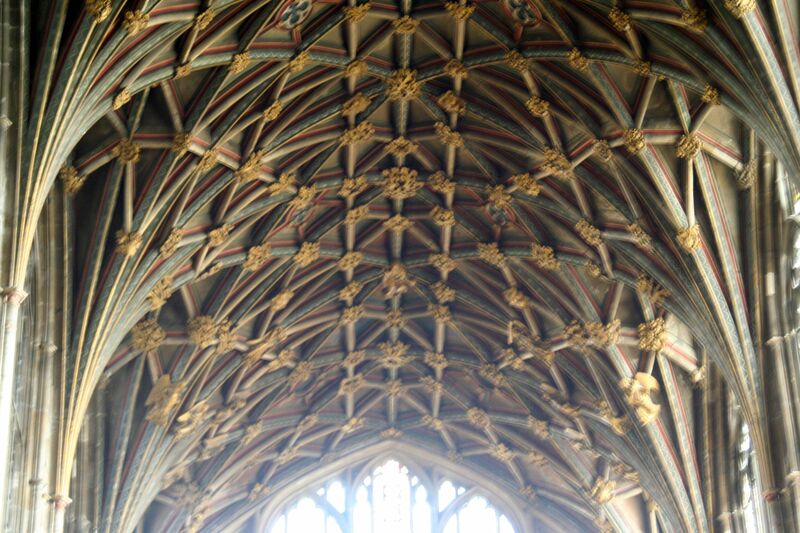 gloucester cathedral | and sure stars shining . . .
It’s Friday morning. I can feel the wind-down starting. I’m still debating whether to return to London on Sunday or Monday morning. My thoughts are increasingly of the work to be done in the next few weeks. And I’m anxious to snuggle with my Samson again, to eat my own cooking, to sleep in my own bed. I have only two concerts on the schedule today: an accordion recital (no joking!) at 1 p.m., then the big evening event at 7.45, featuring Elgar and Walton and a huge chorus. From my seat in the Quire, the reredos and a portion of the East Window. The tomb of Kind Edward II, directly behind my seat at Evensong. I can’t get enough of the tower. 7.30 p.m., from the north. 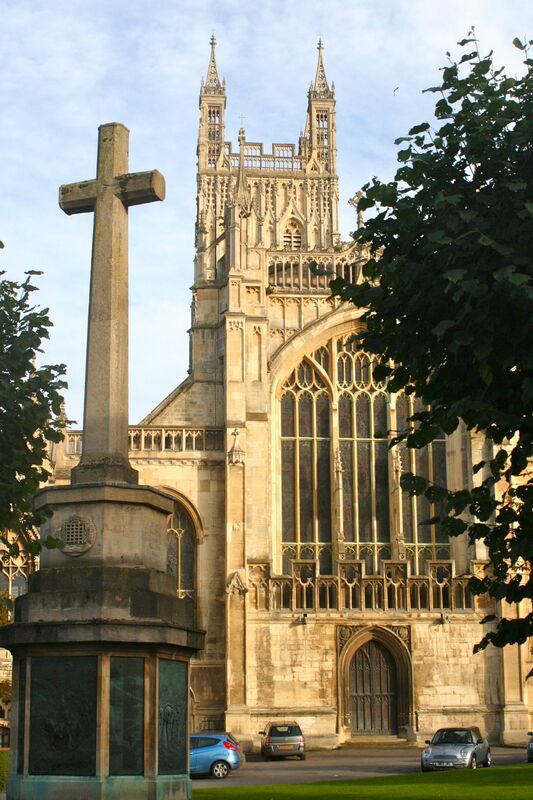 This entry was posted in Travel 2013 and tagged gloucester cathedral on August 2, 2013 by Jeffrey Carter. I have never heard seagulls as much as I have this trip to UK. Every single place I’ve visited, save for Paris, has had both the sight and sound of gulls. Even Worcester, far inland in relative terms, had gulls noisy enough to awaken me every morning. Yesterday I witnessed seagulls intentionally going after folks in the cloister courtyard at Gloucester Cathedral. Those scoundrels! Mean little buggers, they are. Here’s a sample sound file. This entry was posted in Travel 2013 and tagged gloucester cathedral, sea gulls on July 30, 2013 by Jeffrey Carter. 8.45 a.m. I’ve had my breakfast (bacon, sausage, fried egg, wheat toast, sauteed mushrooms, coffee, grapes) in the dining room at The Edward Hotel here in Gloucester. I slept well last night on a fine single bed with decent pillows (unlike the hotel in Worcester). Yesterday’s concert: Britten and Duruflé in the afternoon, sung by the Festival Youth Chorus; Wagner and Verdi in the evening, with the Philharmonia Orchestra conducted by Edward Gardner, the Festival Chorus, and Emma Bell as soloist. I have studied the Verdi Quattro Pezzi Sacri, but I’ve never heard all four of them live in concert with orchestra. This is a big sing; I was glad to be there. The chorus was spot-on and full of vigor, a few ever-so-shy soprano pitches notwithstanding. Wagner’s Tannhauser overture and the Wesendonck Lieder comprised the first half of the concert, and to great effect. 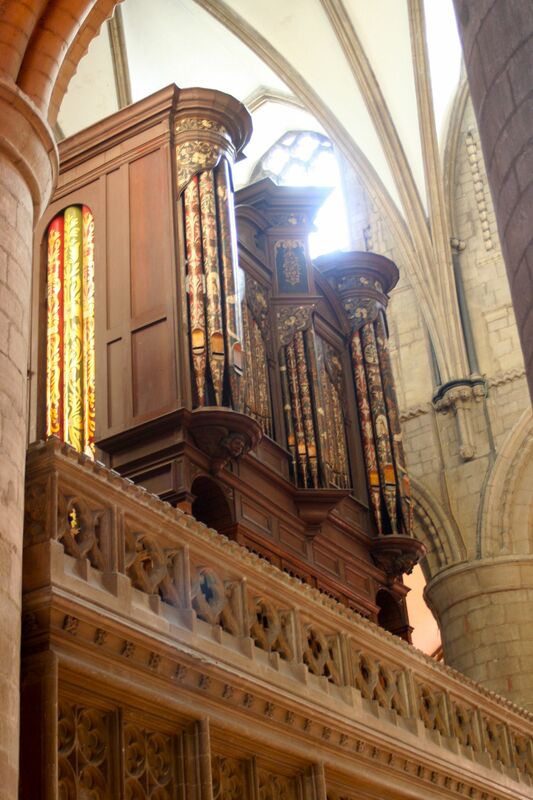 The massive Norman pillars and arches of the cathedral provided a perfect acoustic for this music — sacred, generous, resonant, but not muddled or messy. And Emma Bell shone in the Wagner songs, bringing ecstasy and heartache to these rich poems by Wagner’s one-time love interest. Today? Handel’s Messiah, an organ recital, and this evening a concert by Polyphony, followed by the Sibelius 2nd symphony (one of my all-time favorites). And most likely a side trip to Tewkesbury. And some rain. The organ, as viewed from my seat on Monday. One never knows what one will find at a cathedral. Part of the south aisle west window. The central panel of the great West Window. The tower at Gloucester Cathedral. 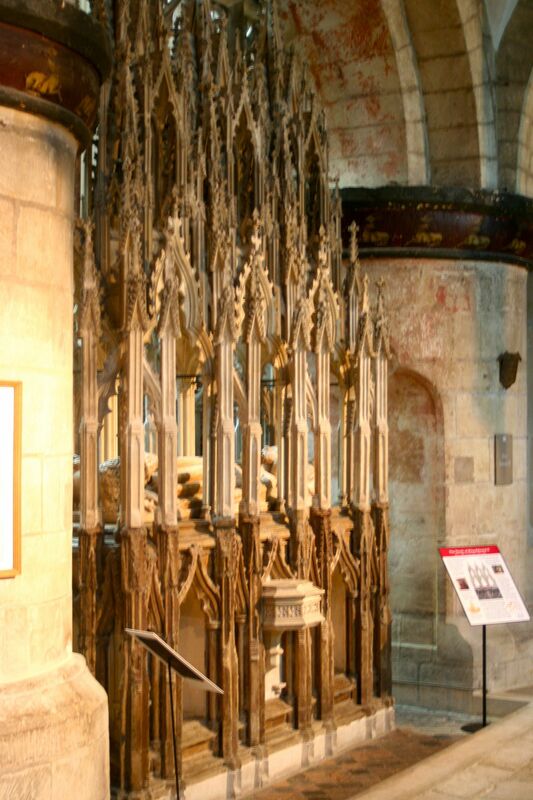 This entry was posted in Travel 2013 and tagged Britten, Durufle, Edward Gardner, Emma Bell, gloucester cathedral, Three Choirs Festival, Verdi, Wagner on July 30, 2013 by Jeffrey Carter. If it’s Saturday, it must be Worcester. After a full week that started in Bristol, continued to Worcester, with side trips to Ludlow, Tintern, Cardiff, Gloucester, and Tewkesbury, I am home this evening at the Fownes Hotel in Worcester. 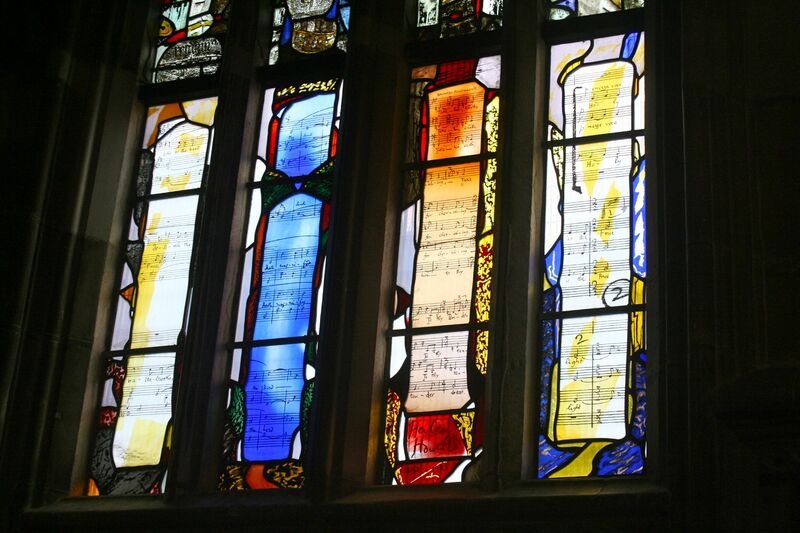 Over the last eleven days, we have sung ten services of praise in four different cathedrals. We have our last two services tomorrow. Yesterday’s off day in Wales included stops at the ruins of Tintern Abbey, an afternoon in Cardiff, and a wonderful evening of skittles, hops, light food, and laughter at the Haw Bridge Inn in Gloucestershire. in addition to Sibelius’ 2nd symphony and other major works. For all of this I move on Monday morning to Gloucester for the week. Of course I burst into tears this morning at the service — twice. The opening hymn caught me off guard, as I was lifting my voice with a thousand others in praise of Almighty God in this dream-come-true location and activity. And “God Save the Queen” reduced me to a bubble as it often does, as this service of sacred, secular, and state concluded with the British national anthem. I had a few minutes to visit with Adrian Partington afterwards, which was a nice treat. So Three Choirs has commenced. But first, the last two services here. We had wine with one of the Cathedral canons this evening in his home on the College Green. Six of us joined for dinner following at Ye Olde Talbot Hotel. I am now weary, and in for the evening. Even in this erudite land, people don’t know how to use the apostrophe. John Schaefer, and the River Severn. 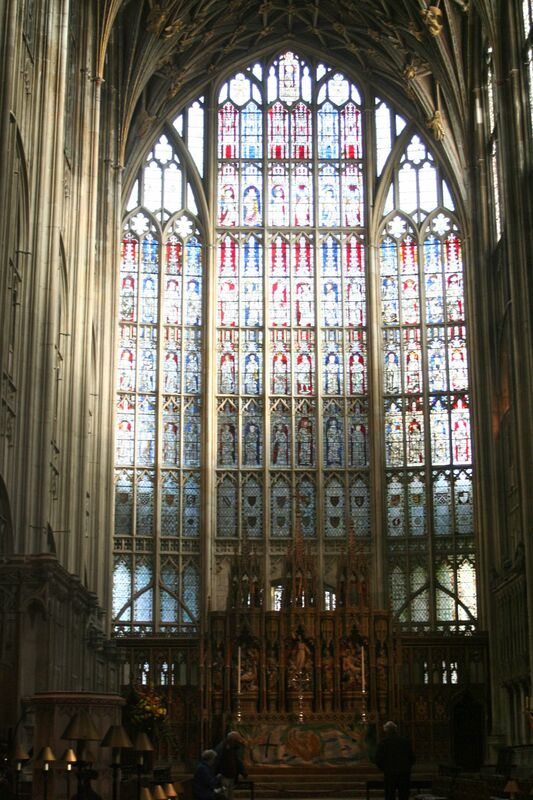 This entry was posted in Choral Music, Episcopal Church, Travel 2013 and tagged Cardiff, gloucester cathedral, Three Choirs Festival, Tintern Abbey, Wales, Worcester Cathedral on July 27, 2013 by Jeffrey Carter. Photos from the visit. Stories to follow . . . .
Tomb of Edward II, King of England. 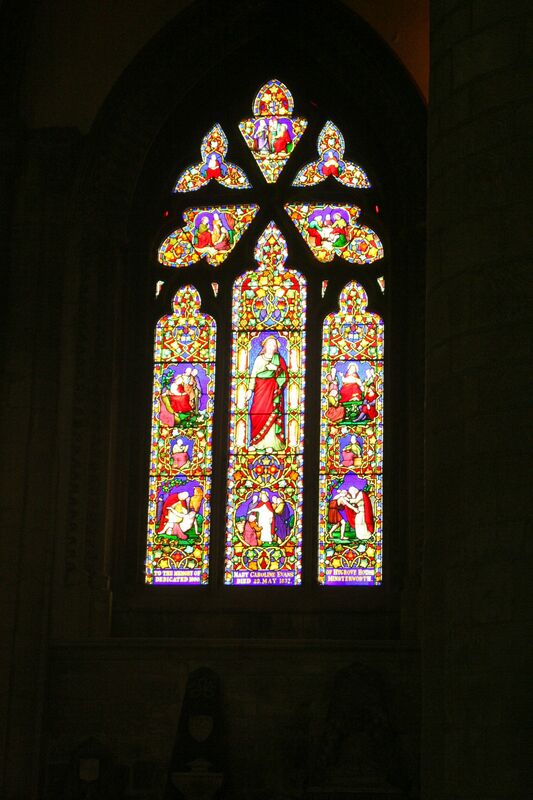 The Howells window in the Lady Chapel. Detail of the Choir ceiling. 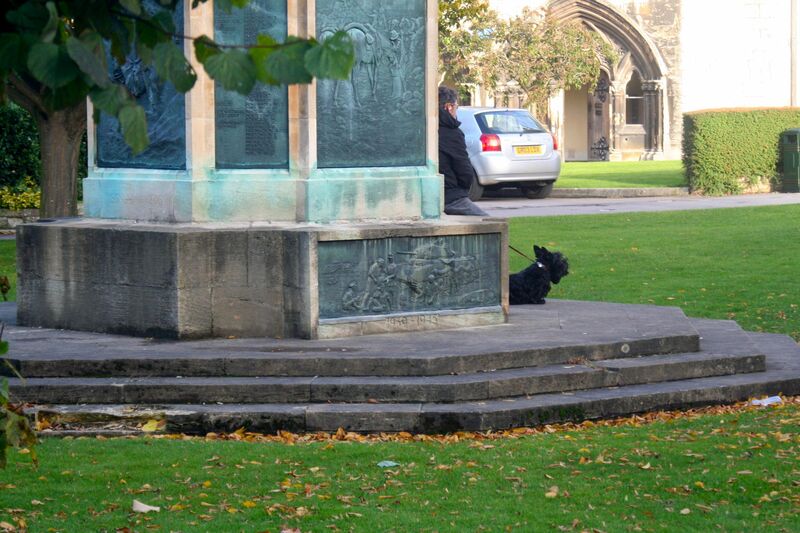 A lovely dog in the Cathedral Close. The Cathedral from the Close. 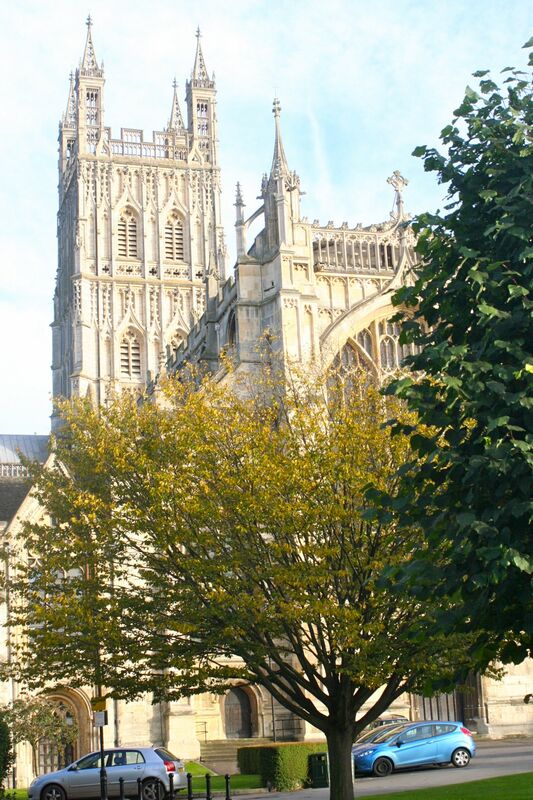 Gloucester Cathedral from the Close. 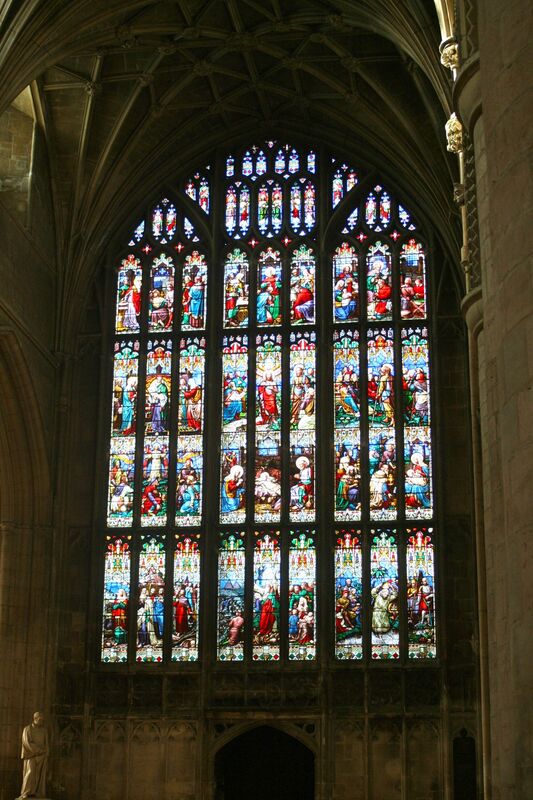 This entry was posted in Travel 2012 and tagged Edward II, gloucester cathedral, Howells window on October 17, 2012 by Jeffrey Carter.